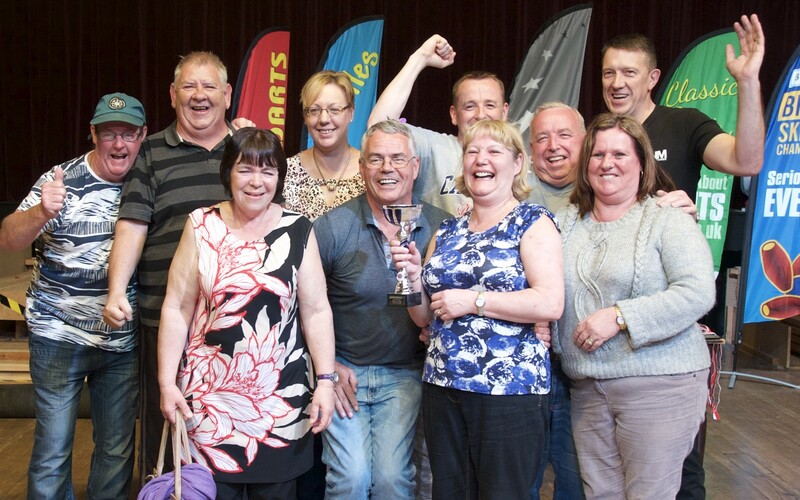 Another triumph for Cardiff’s Highway Mix A skittles team who have just crowned a successful year in the Roath Winter League with a victory in a major inter county tournament in Weston Super Mare. The team, who play out of Roath Social and Sports Club, found themselves facing formidable opposition from all over Wales and England. But experience paid off as the Highway Mix A team made it through to the last 12. Again they held their nerve and won the tournament with a resounding 420, seven points ahead of Weston Nomads from Bath. And not to be outdone, fellow teammates Highway Mix B came 11th and Highway Mix C narrowly missed out on a place in the finals. Captain Robert Lewis claimed the trophy for highest scoring man, while Clare Newell from View the Dragon D won the women’s trophy, both scoring 61 points. Secrets of their success? ‘Have women in the team, advised Robert. ‘They’re just as good as the men, and know how to enjoy themselves. Also the men have too play better as they don’t want to be shown up. As well as some superb skittling, the weekend emphasis was very much on fundraising. 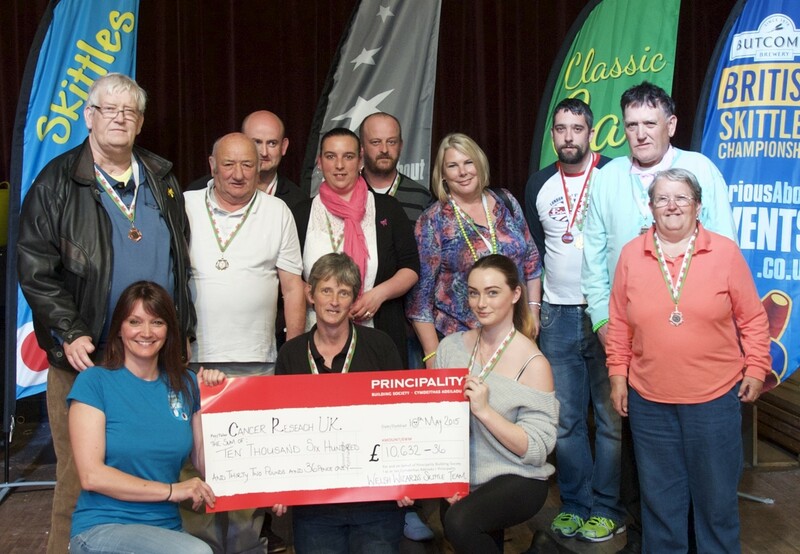 The Barry Barbarians held raffles and collections resulting in £235, the Naughty Angels from Cardiff raised £835 to help a local little girl who is suffering from cancer. And the Gamekeeper A Darts winners were raising money for a team mate who also has cancer and couldn’t be at the tournament. Meanwhile tournament organizer Rachel Bourke, managing director of SeriousAbout Events, who is a major UK fundraiser for Cancer Research UK, received £400 thanks to teams donating their prize money. She was also presented with a cheque for £10.632.35 for CRUK raised by the Welsh Wizards who have been collecting at Cardiff Airport, holding raffles and fundraising events. Rachel’s overall total is now in excess of £75,000.